Tri-Phase offers a full range of demolition and decommissioning services starting from the initial site assessment through to equipment and investment recovery, hazardous materials abatement, industrial cleaning and facility demolition. Our priority is to be both efficient and cost-effective. We conduct a thorough examination of the site to determine the presence of any environmental or safety hazards. We also prepare site-specific health, safety and work plans and implement sign-off procedures for every stage of a project. 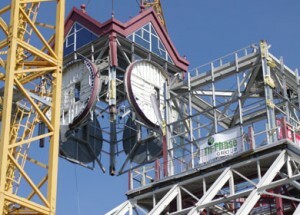 In addition, Tri-Phase manages and performs all pre-demolition activities and requirements. Our approach to demolition is to recycle wherever possible and minimize the amount of waste taken to landfills. We strategically remove portions of a building in a planned and analytical fashion in order to segregate and recycle building materials such as concrete, wood, brick, metal, etc. 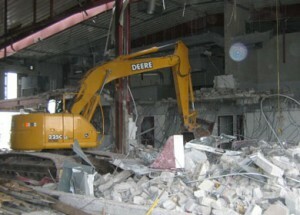 Tri-Phase has completed over 5000 interior demolition projects across Canada. We have worked with all levels of government, schools and colleges/universities, property managers, general contractors, consultants, developers and others to help retrofit buildings or sections of buildings. This work can allow for new additions, preserve historically significant buildings or rehabilitate an environmentally hazardous area when coupled with our hazardous materials abatement services. Tri-Phase has both the resources and manpower to safely and cost-effectively demolish and remove entire facilities or buildings. 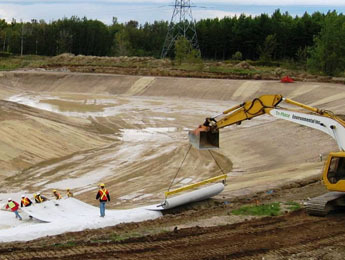 Our concrete crushing equipment can be mobilized and used on-site to recycle any concrete generated from our demolition work and generate gravel that meets necessary specifications to help our clients achieve LEED designation on their projects. In addition, investment recovery is also a significant focus of our work. Years of experience set the tone for Tri-Phase’s all-inclusive approach to decommissioning. We have successfully completed over 2000 projects including manufacturing plants, and facilities with process equipment. Our site remediation, building decontamination and decommissioning services provide turnkey solutions for the rehabilitation of contaminated sites and buildings. From characterization to complete site closure, our professional team can propose a wide range of innovative technologies and methods to meet your needs. 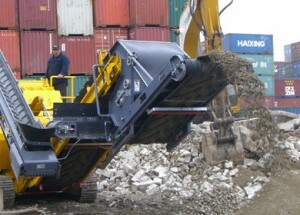 Recycling demolition waste is an essential practice of an efficient, responsible contractor. It also means lower material costs and fewer tipping fees for clients. 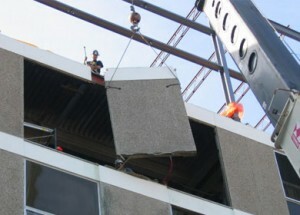 At Tri-Phase, we remove portions of a building in a planned, strategic and analytical fashion. Materials such as concrete, wood, drywall, carpet, brick, and metal are segregated and recycled wherever possible, minimizing the amount of waste that ends up in landfills.